The American Association for Medicare Supplement insurance does NOT endorse, sell or recommend any particular insurance company or policy. We are a national trade organization that encourages consumers in the Cincinnati area to take time to get educated on this important product … and to compare costs and policies because selecting your Medigap policy. Here’s one important reason that comparing is important. According to the Association’s 2018 analysis of Medicare Supplement policies, in Cincinnati (Zip Code 45204), one Medicare Supplement policy (Plan F for a 65 year old female) was the least expensive available policy choice at $127.330-per-month. The most expensive Plan F policy available cost $344.50-per-month (that’s a 92.1 percent yearly cost difference). The Association maintains the nation’s largest database where you can find local Medicare Supplement insurance agents. It’s FREE TO USE and you DO NOT NEED TO ENTER any of your personal information to access. 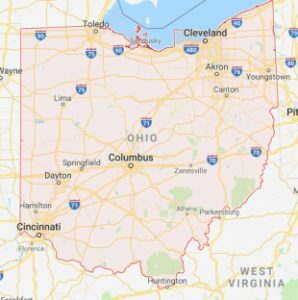 SIMPLY CLICK THIS LINK to access the Agent Directory Look-Up where you’ll find agents throughout the State of Ohio. This is a free service the Association provides to consumers. Lowest cost for a 65 year old female (Plan F, non-smoker, no discounts) = $127.33-per-month. Highest cost for a 65-year-old female (Plan F, non-smoker, no discounts) = $344.50-per-month. THAT’S A 92.1 PERCENT DIFFERENCE — a lot to pay … which is why we believe comparing Medicare insurance costs is important for consumers. Costs based on 2018 Association analysis and subject to change. For many people, especially those who had their health insurance options provided through work, selecting a Medicare insurance option can be confusing. There are Medicare Supplement (Medigap) plans … there are Medicare Advantage options … and that’s just the beginning. It’s an important choice – because when you need healthcare – the choices you make now are going to determine your care options down the road. For that reason, we recommend working with what we call a Medicare insurance specialist. That’s someone who is willing to educate consumers and help them select the best option for their needs and budget. ONE COMPANY – or MULTIPLE COMPANIES? Some insurance agents can only offer Medicare insurance from one company. Some (typically referred to as brokers) can offer policies from multiple companies. Here’s what you should ask: “how many Medicare insurance companies are you appointed to sell?”. Appointed is industry jargon that means they can sell you a policy (and earn a commission for doing so). WHAT IS THE COMPANY’S HISTORY OF RATE INCREASES? The lowest rate may seem attractive but rates can change and so it is important to ask the agent or broker you are working with about the company’s recent record of rate increases.